Livitrans Express Trourist train is the newest train connecting Hanoi and Sapa. 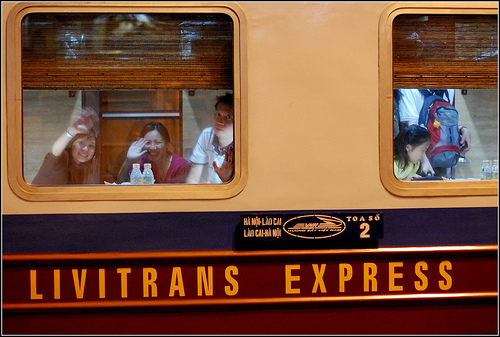 Since our introduce on August 31st 2007, We are considered one of the most Luxurious trains in Vietnam. Managed by Lien Viet Transport and trade Joint stock Company, Livitrans Express is a high class train with VIP cabins equivalent to an international four-stars hotel. Each VIP cabin consists of two berths. The Tourist cabins are suitable for business and leisure travelers. Each Tourist cabin is comprises of 4 berths. Passengers will be offered fruits, confectionery, drinks, and newspapers for free as well as toothbrushes, toothpaste, a comb, pairs of massage slippers and sound system. Each coach has a friendly and attentive staff that will provide support to passengers. There is also a bar which serves fast food and traditional Vietnamese food upon request. 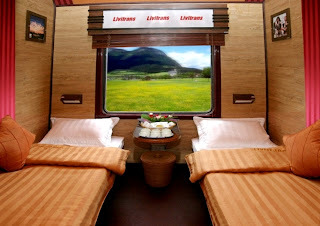 After one year of operation, Livitrans Express Tourist Train, with the slogan "delightful smile in every Journey", has carried thousands of passengers safely to their destinations. 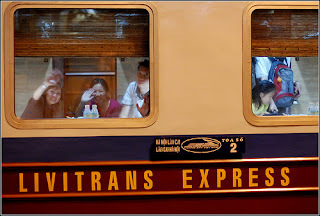 On September 2th 2008, Livitrans opened new route on Hanoi - Hue - Danang marking a new phase in the company's development and affirmed Livitrans Express Tourist Train as the forerunner in providing travelers with quality transport service by train in Vietnam. - Tax and insurance included, ticket price includes VAT. - You pay by USD dollars converted at the exchange rate of the Bank of Industry and Commerce at the time of ticket purchase. - Cutomers will pay bank charge for ticket payment.